Matters that affect cash flow directly and indirectly are critical to enhance the value and the attractiveness of your business. The objective when selling your business is to maximize the value. Thoughtful planning can accomplish that goal. Contact your WFY tax advisor at info@cpa-wfy.com for additional guidance. Is there frustration building in your organization due to clashing generational attitudes about work? If so, you are not alone. The good news is it doesn’t need to trigger an explosion. In many workplaces, Baby Boomer and Gen X supervisors are exasperated with younger workers — typically those in the Millennial generation, who were born between 1981 and 2000. Some older supervisors have trouble managing the younger workers. By the same token, Millennial generation employees often are demoralized by an environment they do not find conducive to doing their best work. If you are facing these issues, don’t wait for things to get out of hand. It’s better to be proactive and sensitize employees and supervisors to generational differences in typical attitudes and expectations about work. One basic preemptive problem-solving strategy is to explain each group to the other. Understanding why each generation behaves as it does allows supervisors and workers to overcome the belief that one party is merely going out of its way to annoy or undermine the other. Next, improve on the golden rule. Instead of treating people the way you want them to treat you, treat them the way they want to be treated — within reason. An “aha moment” for Boomer and Gen X supervisors in understanding how Millennials want to be treated often comes when they are asked about how they raised their children. The younger generation was constantly told they were special. They won trophies merely for participating on sports teams (winning optional) and were heavily programmed with organized activities during their childhoods. Their school essays may have been proofread by their parents. All of these experiences lead to certain expectations in the work environment. In particular, these employees often expect lots of feedback (especially praise) and direction. They may also have less respect for hierarchies if they viewed their parents more as friends than as authority figures. Many Millennials developed certain attitudes about work by witnessing the fate of some Boomer parents who devoted themselves fully to their jobs and companies, worked long hours without complaint, only to be laid off during times of economic difficulty. This can lead to an attitude that life is too short to sacrifice yourself for a job that might disappear without warning. Millennials are more interested in collaboration and teamwork, while Generation Xers and Baby Boomers are more independent. Millennials communicate through technology, while Boomers prefer face-to-face interaction. Mitigating inter-generational conflict is a two-way street. Millennials may need to be coached about the meaning of concepts such as initiative and “ownership” of projects. You may want to advise them to narrow down their requests from supervisors. When Millennials are sensitized to such issues, along with generational attitude differences, they may walk away realizing: “My boss isn’t an evil person, just a product of his time.” They may become content to make a few adjustments to “meet the boss in the middle,” or perhaps embrace a more Boomer or Gen X-like attitude. When older supervisors are encouraged to make some accommodations to the emotional needs of younger workers, a common response is: “Hey, nobody did that for me.” However, their grumbling may soften when they learn that the accommodations they need to make often aren’t very time-consuming — and they can bring positive results. Examples include sending an occasional thank-you note for a job well done, or cc’ing a boss on an e-mail praising a younger employee. Some members of each generation are probably going to conclude that those of other generations are wrong and “just need to get over it.” But the differences are not going away. Compromise is key, and if all sides are willing to give a little, the workplace can be a much more productive and pleasant place to be. When someone dies owning real estate, problems may occur — especially if the individual doesn’t have a will. This article addresses some of the issues that could arise so that you can plan ahead to make the process go smoothly for your heirs. 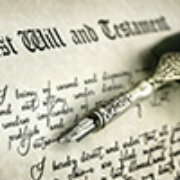 A person can leave real property specifically to someone in a will or trust. For example, a father can leave a residence or vacation home to one of his three adult children by simply listing it in his will. Real estate can also be left to heirs as part of an individual’s net estate or residuary estate. This is the portion of an individual’s assets that remain after all specific gifts and bequests have been made and all claims, taxes and other debts of the estate are satisfied. For example, the father has a will and leaves specific items (artwork, jewelry) to each of his three children. His will then specifies that the rest of his assets are to be divided equally among the three children. Any real estate he owns is part of the net or residuary estate. If someone dies without a will, the real property passes by “operation of law,” to the next of kin pursuant to the intestate law of the state. This is the law governing how property is distributed when someone dies without a will. State laws can vary significantly. Operation of law means that nothing has to be put in writing to cause the heirs to inherit the property. When filing a petition for probate or estate administration, the court will want to know the value of the property and whether or not it is an income producing property (for example, a rental property). Depending on the property value, who is handling the estate and who will inherit the property, the court will determine whether to restrict the sale of the property without court approval. The court will also want the executor or personal representative to account for the rental income of the property if it is a rental property. Difficulty usually arises immediately after death if there are bills to pay or rent to collect. For example, there may be mortgage, utility or property tax payments. It may take a few weeks before someone is appointed as the executor or personal representative. Or, in some cases, no one decides to petition the court. Some heirs may take it upon themselves to pay bills or collect rent. These heirs must keep a strict accounting of the finances because later they may be accused of malfeasance, which includes acting in their own self-interests and fraud. In addition, in order to be reimbursed by the estate, heirs must keep strict records. Unfortunately, some heirs don’t petition the court for a long time — even years — to officially begin the probate or estate administration process. This can result in claims of wrongdoing. 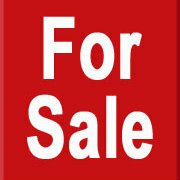 Further, it is generally in the best interests of the estate to distribute or sell the property in a timely manner. The longer the property stays in the estate, the more likely there might be a legal challenge about the handling of the sale, the distribution to heirs, the collection of rent and/or the payment of expenses. Unfortunately, a common occurrence is when one sibling in a family believes — for one reason or another — that he or she is entitled to more than what is permitted by law. For example, let’s say that a mother with four children lives in a home, which she owns free and clear, with one of her daughters. The other three siblings live out of state and rarely visit. After the mother dies without a will, the daughter who lived with her believes that she should receive the home and be able to continue living there. However, the law is likely to treat the property as an asset that must be divided equally among the siblings. Let’s further assume that the daughter who lives in the home petitions the court to become the executor or personal representative. The court appoints her. If she refuses to sell the property and distribute the money to the rest of the siblings, the heirs would have to petition the court for an accounting and removal of their sister as executor or personal representative for breach of fiduciary duty. The sister would be required to have a justifiable reason why the property was not distributed. If upon distribution, there is disagreement on what to do with the property, one of the heirs can petition for a partition and sale of the property. In other words, force the sale of the property to a third party or have an heir “buy out” the other heir(s). Overall, keeping real property in the estate for an extend period of time is not looked upon favorably by courts. If you don’t have a will, consult a WFY tax advisor at info@cpa-wfy.com for a recommended estate attorney to draft one so that your wishes are carried out. If you believe you are the heir of an estate with real estate — and the decedent did not have a will — speak with your attorney about how to handle these issues so they do not get out of hand. What if an estate includes real estate in another state from the one the decedent lived in? If there is no will, the property will be handled under the intestate laws in the state where the property is located. For example, let’s say you live in the northeast United States but you own a vacation home in the south where you spend winters. If you die without a will, the vacation property will be passed to your heirs under the laws of the southern state. The laws in that state may be vastly different from the laws in the state where you have your principal residence. So the IRS won. If you have questions or want more information on tax planning for land sales, consult a WFY tax adviser at info@cpa-wfy.com. Every year, the dollar amounts allowed for various federal tax benefits are subject to change based on inflation adjustments and legislation. Here are some important tax figures for 2017, compared with 2016, including the estate tax exemption, Social Security wage base, qualified retirement plan and IRA contribution limits, driving deductions, allowable business write-off amounts and more.